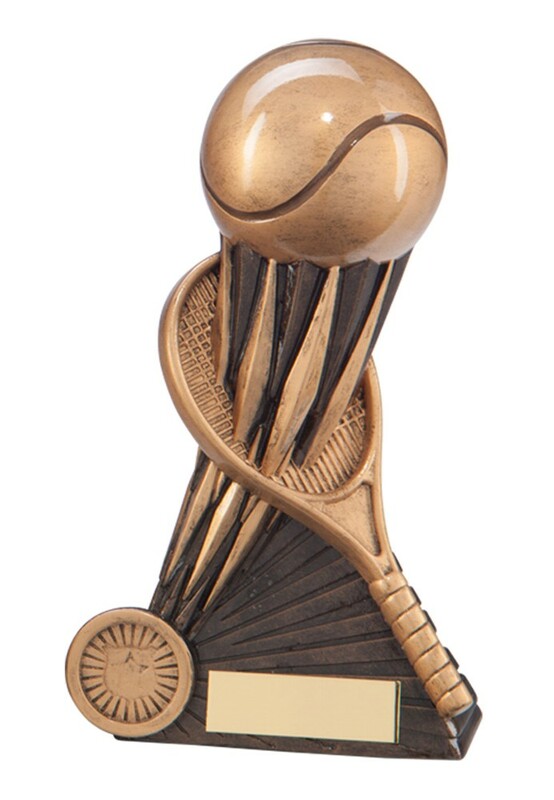 Resin Atomic Tennis Ball & Racket Award. Available in 2 sizes, 160mm and 185mm high. Solid resin award, antique bronze with gold detail.